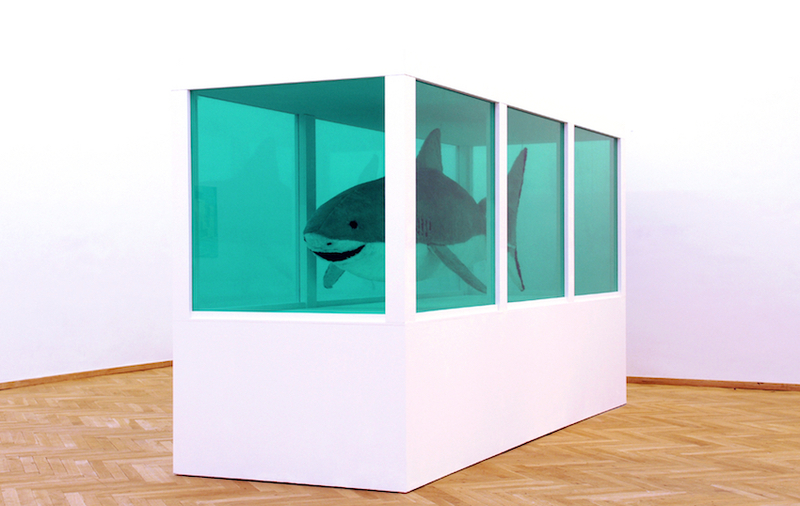 The shark in its formaldehyd tank is legend: “The Impossibility of Death in the Mind of Someone Living” is a key work of British artist Damien Hirst and its participation in the “Sensations” exhibit at the Royal Academy the kick off of his career. “The Metaphysical Possibility of Joy in the Mind of Someone Unhappy” mirrors the famous model’s appearance. But in contrast to the originals fearsome jaws Neubauer’s shark displays the most charming smile. The plush predator has just the same merry appearance as countless cuddly toys for toddlers. Far from being belittling the plush toys in Neubauers videos is broken, the idyll disrupted. Sebastian Neubauers video „Gabi oder zwei Farben Gelb“ (with Sebastian Egert, Per Olaf Schmidt and Tom Schön) observes with irony a depressiv teddy bear who on his birthday ignores his parents desperate competition for his attention and love. 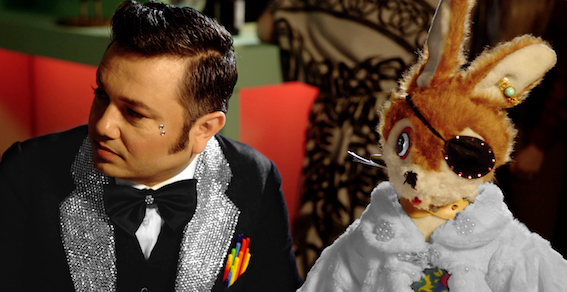 Just like the run-down plush hare with eye patch, metal hand and far too much “bling” in the music video „Tomo y obligo“ who listens to a lovesick’s laments the teddy bear is not part of any safe childhood cliché. The grandiloquent laments’ pathos, the fearsome shark turned cuddly: Neubauer disruptes and impugnes the clichés he cites. Videos, photos, sculptures, works on paper and a recent edition of his catalogue are on show at galerie postel until May 27th.